Vibrations diagnosed and fixed ? That happens when you disconnect the power. It drops the readings. Depends on what you have it set for if I'm not mistaken mine is set for last 50 miles. What are you using to wipe it? I use a waffle weave microfiber towel. Makes a big difference. Did you try just disconnecting the battery for a little bit just to reset everything? Just a thought. I would try getting a handheld tuner and changing the tire size. I have a diablo sport intune that allows you to change the tire size and many other parameters. Guys help me fix my mirrors! Looks like something got shorted out from the rain. Not sure if the warranty would cover that since you had them apart. Try taking it in and see what they say. Good luck. Let us know what happens. 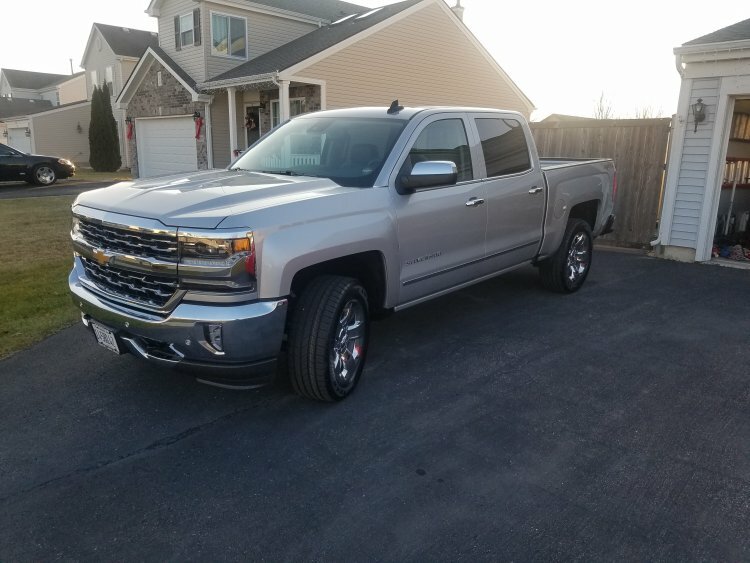 I had a 2014 shaker that I traded for my 2018 that is smooth as glass. Best advice is get it on the highway and get it up to 70 to 80. But that doesn't guarantee that it won't develop later. Keeping my fingers crossed with my 2018. So far so good. Good luck to you. Truck looks good by the way! It will adjust back to normal. 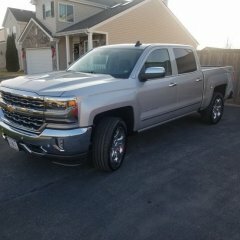 Had the same thing happen after doing the diablo tune on my 2014 Silverado. Yeah sorry I thought you had the 6 speed. Not sure on the 8 speed. Probably check your manual. If you think its the fuel management (AFM) that`s where I would start.